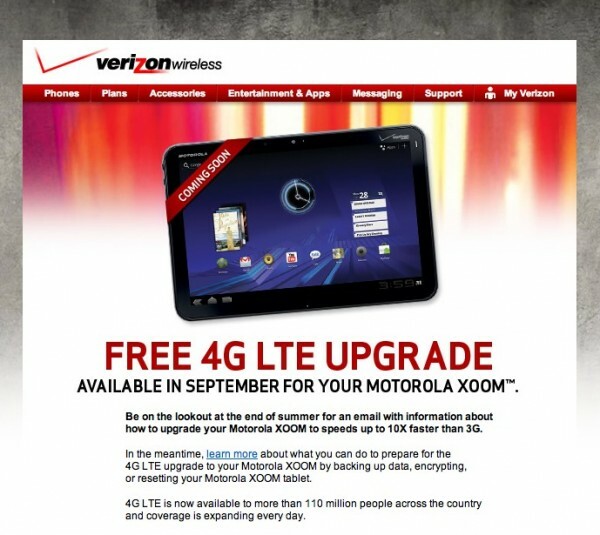 Motorola will finally begin offering Xoom owners the free upgrade to 4G - five months after it promised. Well, it’s taken a while, but Motorola will finally begin offering Xoom owners that fre 4G upgrade the company promised a long, long time ago. The upgrades begin this September, and until then Motorola suggests that users intending to upgrade start preparing now by backing up their Xoom’s data, encrypting it, or erasing the device altogether. Of course, this program, which involves Xoom owners shipping their tablets to Motorola for a week, should have been started back in May. So, its a bit delayed, to say the least. But maybe Verizon’s boosted 4G speeds are worth it. But for those looking to get in on the 4G tablet action a bit earlier, Samsung’s Galaxy Tab 10.1 will be available on Verizon tomorrow. So that’s worth considering, too, if you are less inclined to wait.